Still shipping for Christmas...order by Tuesday 3:00 pm CST! All prices include ground shipping!!! 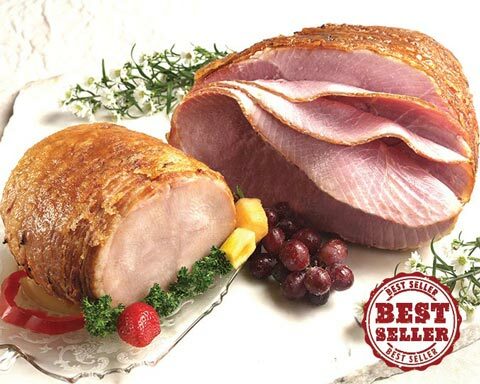 Selected Best Mail Order Ham in the Country by “Ladies Home Journal”, “Cuisine” and “Real Simple” magazines. Is it possible a ham could taste this sweet, this tender, this full of flavor? You’d never guess ham this tasty contains less salt than other gourmet hams. Holiday Hams are lightly smoked and slowly baked over hickory embers for 28 hours until they turn a perfect golden shade. The hams are glazed with savory honey spices and spiral-sliced. Holiday Hams are ready-to-serve. Whether you’re serving five people or fifty, nothing is easier –or more delicious– than serving a Holiday Ham. When the savory, smoky-sweet flavors dance across your tastebuds and the bold aroma envelopes your senses, you´ll know that there´s no ham like a Holiday Ham. 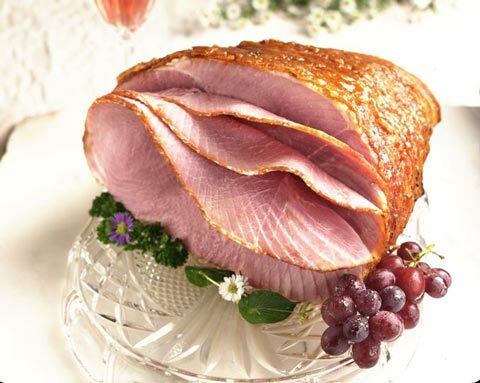 Only Holiday Ham gives you a delicious, honey-glazed taste while containing less salt than other gourmet hams! 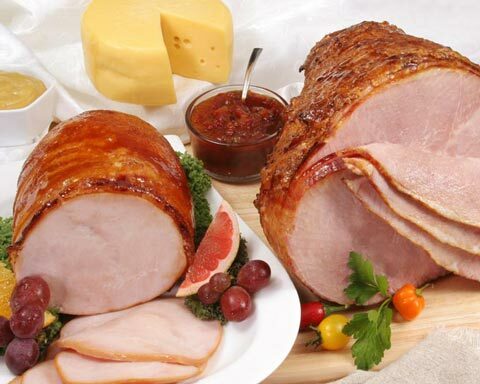 Hickory-smoked, honey-glazed, spiral sliced Holiday Hams are ready to serve anytime, anyplace. No pans to scrub, no time-consuming preparation…just great food without the hassle.